New law allows indigenous peoples to cross Bering Strait to visit relatives. The United States and Russia have introduced visa-free travel to the indigenous inhabitants of the Chukotka and Alaska, the official website of the Chukotka Autonomous Region has reported. The new law came into effect on July 17. The precedent occurred after the Bering Strait Regional Commission (BCRC) on the U.S. side declared its readiness to issue an insert for the passport of an Alaska native who wanted to visit Chukotka visa-free under the Intergovernmental Agreement Concerning Mutual Visits by Inhabitants of the Bering Strait Region, a special accord that exists between Russia and the United States. The BCRC's American Chief Commissioner Vera Metcalf reported this to her Russian counterpart Leonid Gorenstein. “A passport insert is proof that the citizen is a resident of the so-called designated area, which is indicated in the U.S.-Russian Agreement Concerning Mutual Visits by Inhabitants of the Bering Strait Region,” said Matvei Mikhalenko, an adviser to the international relations department in the administration of the Chukotka Autonomous Region. He specified that the Alaskan authorities have had a sample of the Chukotka insert since the signing of the agreement. 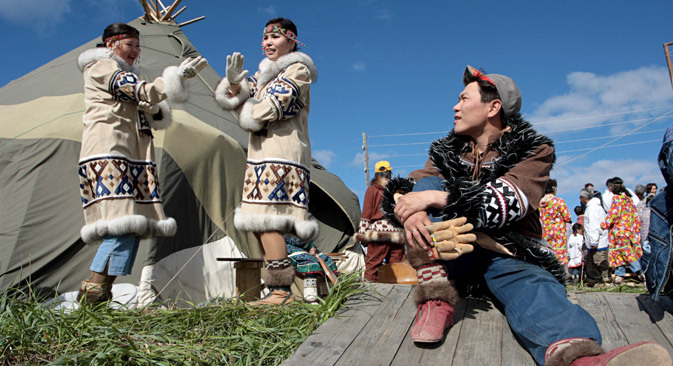 It has been in force since 1989 and applies only to the indigenous peoples of Chukotka and Alaska who live on both sides of the U.S.-Russian border and have relatives in these regions. The term “relative” is understood as blood relatives, members of a tribe, or as indigenous people who share a linguistic or cultural heritage with indigenous peoples of the neighboring territory. Indigenous people of Chukotka and Alaska can travel visa-free at the invitation of their relatives from the designated area. According to the existing rules, it is necessary to notify the senior commissioner of the opposite side no less than 10 days in advance. Inhabitants of Chukotka and Alaska may stay in the designated area of the neighboring country for no longer than 90 days. The U.S. border checkpoints are Nome and Gambell; the Russian border checkpoints are Anadyr, Provideniya, Lavrentiya and Uelen. At the same time, the agreement stipulates that the air and sea routes permitted for travel are set by the chief commissioner. Russians have been able to enter parts of the United States without a visa since 2012. At that time, a visa-free regime for Russians was introduced on the American island of Guam and the Mariana Islands in the Pacific Ocean. First published in Russian in Vesti.ru.